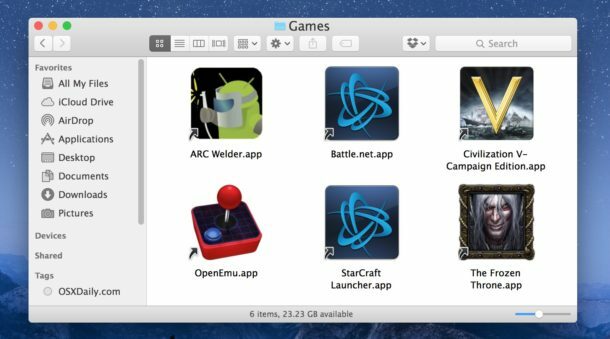 In this example we’ve created a new folder called “Games” on the desktop and aliased various games from the /Applications folder into that Games directory. Note that the original games are in their original location, it is only the aliases contained within the newly created “Games” directory. I really don’t understand how this is useful on a Macbook. I just drag the app to the dock and it’s a shortcut. Doing the alias I end up with copies everywhere that are useless. I maybe just don’t get it. You just do not get it. I agree with Angelo … no need. This is a tip or trick , LMAO. The easy way is. to drag thje file to the finder in the same column where pictures, downloads, desktop etc reside. If you want to get rid of it just drag the alias to the right. An alias of a very full folder kept on the desktop is a great way to be able to wake from sleep quicker than if the original folder were kept on the desktop. Check file>get info on each to see the big difference. An alias is *very* useful. You can have a thousand of them in one folder, sorted any way you like: alphabetically, folders within folders by subject, etc. Keep ’em on the desktop, in the Dock, etc. You can even alias the alias folder. Also, ‘Command L’ is easy-peasy. You hinted at symbolic links, but they are much more powerful than aliases, if you use Terminal at all. Basic UNIX commands understand symbolic links, but not aliases. You didn’t mention hard links at all. A hard link is even closer to the OS, in that it is indistinguishable from a file name. It is, in fact, a second (or third, or fourth) name for the same file. I find them useful for networks imposed on a hierarchy. For example, if you classify certain document files according to some hierarchy of folders, you may find that a particular file qualifies to be in more than one branch of the hierarchy. In such a case, a “hard link” to have two names to the same file, but in different locations in the file hierarchy. With hard links, you can delete the original, and the file remains by its other names. With other forms (symbolic links, aliases), if you delete the original, all your links are now meaningless, because they point to a file that no longer exists. Never understood why Mac has “alias” and symlink. Alias files are really big compared to symlinks. Are there any benefits? I can make symbolic links from my services menu. The HTML web link of this post is 806 bytes, The alias is 1 kb and the symbolic link is 89 bytes. symlinks can cross physical volumes and, additionally, the target file does not need to exist to create the link. I knew I knew nothing, but that article taught me enough to know that what I knew was wrong. So there’s something worse than being a know-nothing: believing you know something, but being wrong about it. 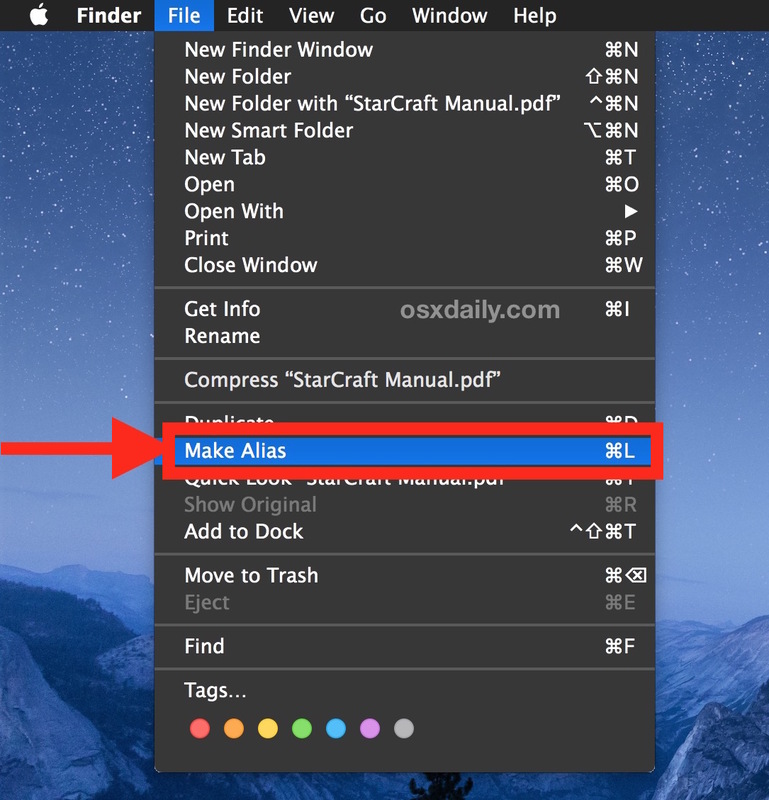 Question: why do we have to create an alias in the Finder? Seems to me that back in the day we could just do Control L in the active window. Or is my memory playing tricks? “In this example *we’re* created”? Really…? In fact, the bottom part of that paragraph reads as if it was written by a non-native English speaker. Bert this is an article about creating Aliases on the Mac. An Alias is like a SHORTCUT on Windows. Are you familiar with computers Herbert? Have you used a Mac and made an alias before? Berty, I think you may be lost perhaps you intended to fulfill your dream job of being a copy editor? Maybe the writer isn’t a native English speaker and instead did an amazing job with 98% of the article. You also missed a few other typos but I’m not here to harp on your oversights. You forgot to include a period after the quotations in your second paragraph above. Ok, I’m done. Thanks for catching the typo, it has been corrected. on some items the File > Make Alias is greyed out and Command + L is not working. 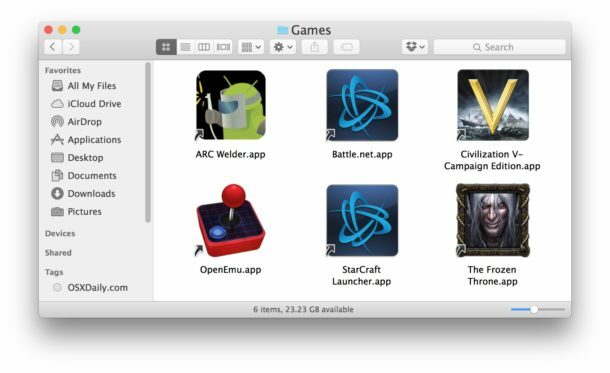 How to create aliases for this apps? Hold down command + option while dragging with your mouse to create an alias of the dragged item. Option dragging creates a duplicate in the location you drag to. Command dragging (not recommended) moves the item. It’s not recommended for critical items because if something goes wrong during the move your file could be corrupted. If you drag from one volume to another, Finder will by default create a copy of the item in the new location. The way I remember the diff between aliases and symlinks is aliases are for Finder and symlinks are for the OS. For example, if you are using an app like LogicPro, it won’t work right with an alias to your loop library on an external volume. But it will follow a symlink.